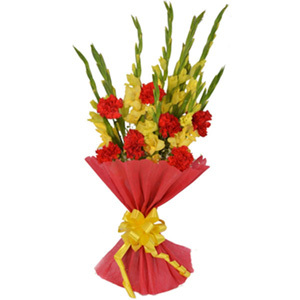 The green fillers in this beautiful orchid bouquet may vary as per their seasonal and regional availability. The wrapping material is recyclable in nature. 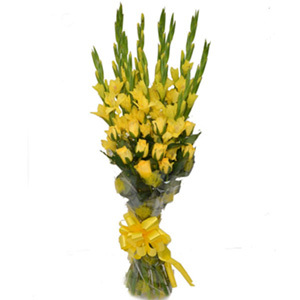 It can be used afterwards for decoration or packing purposes. Orchids always grow upside down on maturing. 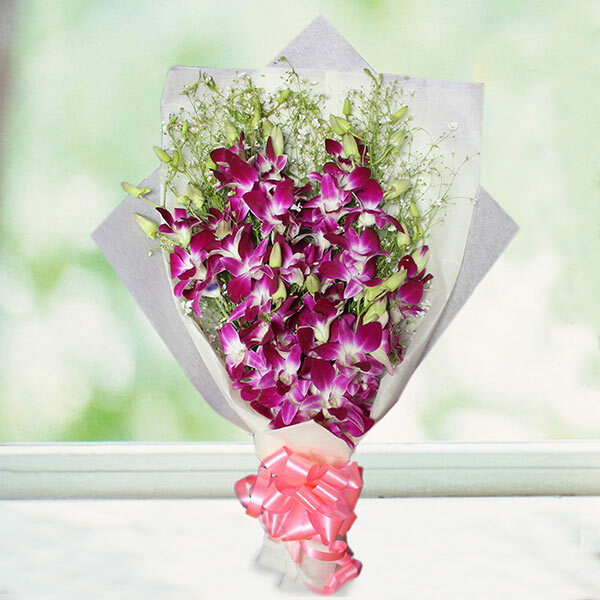 What a splendid bouquet of orchids to brighten any special occasion! 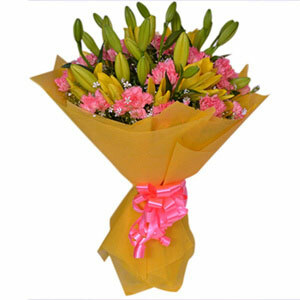 Amazingly wrapped with a coloured wrapping paper and ribbon, this one is a sure delight to the spectator’s eyes. 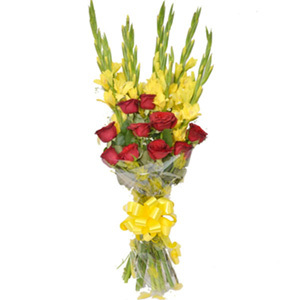 Place your order now to avail its doorstep delivery!